Jodie and James’ Birmingham wedding photography was a bit of a departure from the norm for me - usually I arrive at some rural bolthole where the bride is getting ready and take lots of lovely photos in the natural setting - but this was my first ever urban wedding! Jodie was getting ready at a central birmingham Travelodge, and James at his home nearby before they headed to the church in Moseley to say their vows. 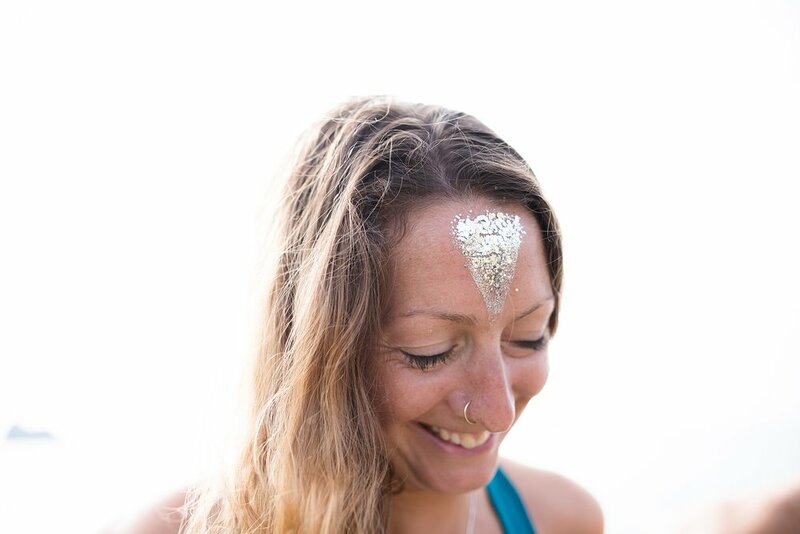 As you may know, as well as being a wedding photographer I also run Wild Glitter, an online store selling biodegradable glitter. 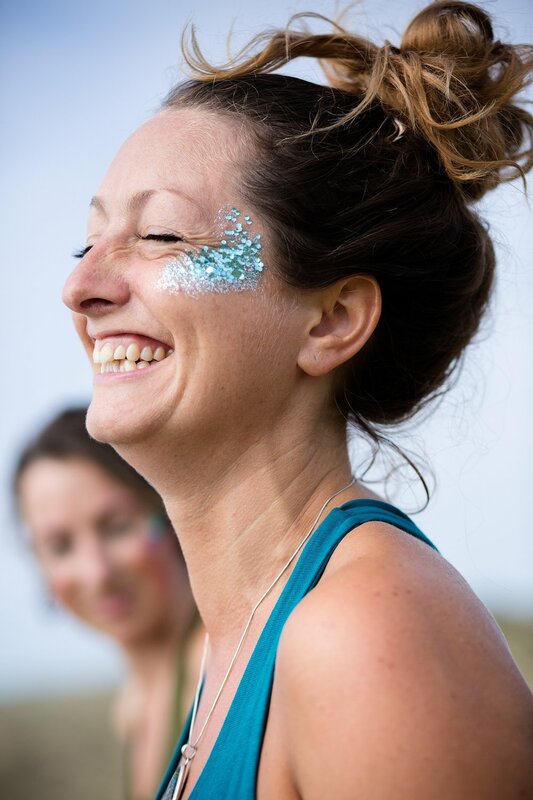 With the summer sun shining, I thought it was the perfect time to collaborate with two lovely Cornwall yoga teachers, Yoga Jane and Sarah from Leela Yoga on some Cornwall yoga photography featuring biodegradable glitter by Wild Glitter. Cornwall is a photographer's dream at this time of year - the sea is azure, the sun is shining and golden hour and sunset is beyond beautiful. This was a great opportunity to explore a new area for me, and to take a break from being a Cornwall wedding photographer for something a bit different. 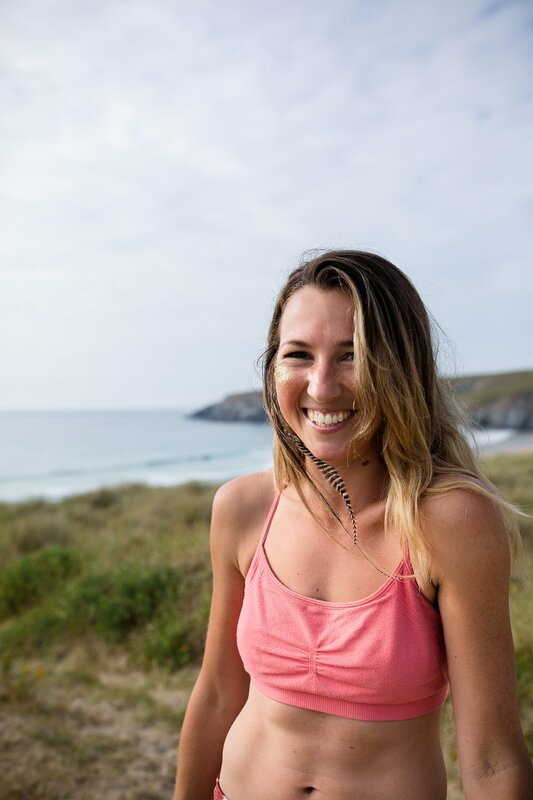 If you’re a yoga teacher or creative looking for natural photography in Cornwall, then do get in touch - I always have time for headshot clients in between weddings and love nothing more than capturing people doing their thing, whether that’s yoga, surfboard shaping or serving people in your cafe! 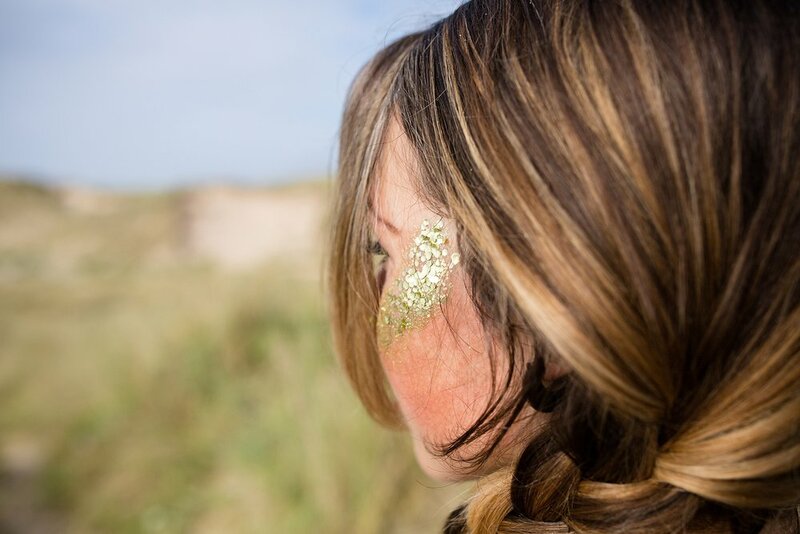 Jane and Sarah are both rocking Wild Glitter's biodegradable glitter in Superchunky, Chunky and Fine, all of which are available in 7 different colours and can be custom labelled with your name and wedding date as biodegradable glitter wedding favours! 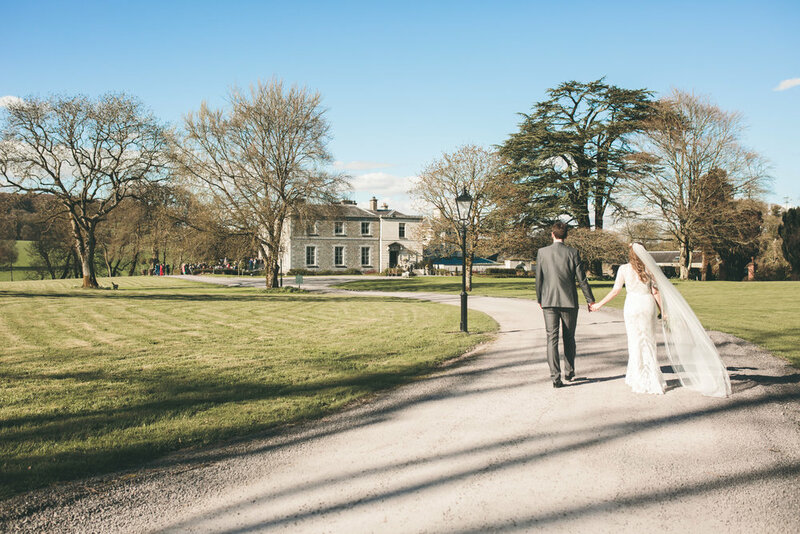 Olivia Moon Photography is a Cornwall based wedding photographer, taking bookings for wedding photography in Devon and the Westcountry as well as further afield in the UK, Ireland and for destination weddings around the world. I love this time of the year: maybe it’s the gentle easing back into the world of wedding photography and work after Christmas, maybe it’s the excitement of having a whole new year in front of me, a blank canvas. I think what I love most of all is how these first magical couple of weeks of the new year are always a time of reflection for me – on the weddings I shot, the places I traveled, the people I met and the friends I made. 2018 felt full to the brim with all of these things, so putting together this blog post has been an emotional and time-consuming ride! Sometimes you just get a feeling about a couple - you click instantly, and they feel like old friends rather than wedding photography clients. Kayleigh and James are one of these couples - from the moment we first spoke over Skype about photography for their upcoming wedding at Walcot Hall, I knew they were going to be F.U.N. This wedding really marked the beginning of the hot, hazy summer of 2018 - looking back on it to write this blog post feels like I’m looking through a golden lens. It was in the magical moment while everything was still green, before the fields all turned brown with the heat, and the atmosphere was so light and fun - all of which were perfect ingredients for a beautiful boho wedding. I arrived at Walcot Hall for Joanne and Rueben’s wedding to the news that Joanne had come down with food poisoning overnight - every bride’s worst nightmare. The amazing Lucie Anne (one of Walcot Hall’s wedding co-ordinator) had made a mad dash to the local doctor’s surgery with poor Jo early that morning and by the time I arrived things were definitely looking up, though the atmosphere was a bit more subdued than most weddings! 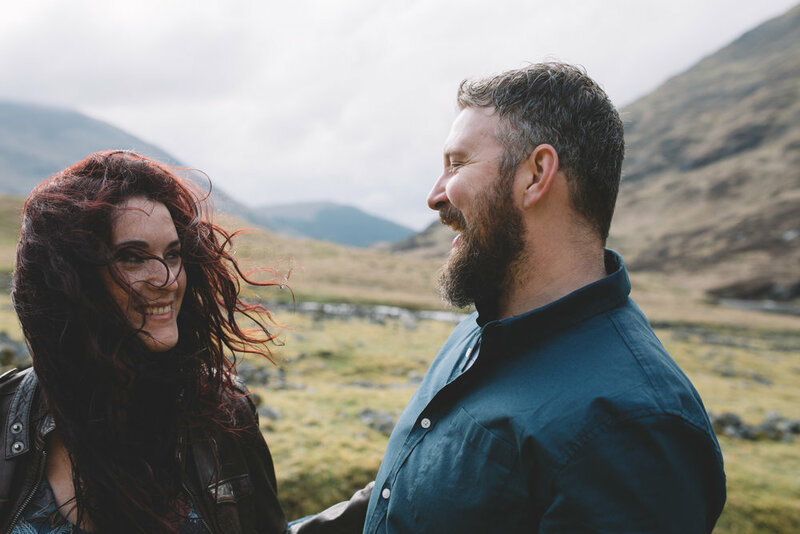 I spend half my life ogling elopement photography from the Scottish Highlands on Instagram, so when Albion and Tania suggested that we do their engagement shoot near Glencoe while I was travelling around Scotland in my campervan, naturally I jumped at the chance. Fiona and Tom arrived in Shropshire from London 24 hours before their wedding to the news that the field they had booked for their rustic marquee reception was totally waterlogged. After several days of torrential downpours, the topsoil had completely washed away, and it was looking like they would have to find an alternative venue as the mudbath was so bad that the marquee was proving difficult to put up! When Millie and Winston said the magic words “have you heard of The Grand Budapest Hotel?” and said that was the feel they were going for when it came to their wedding, I have to admit I did a little happy dance! Wes Anderson is one of my favourite filmmakers, and Wes Anderson inspired wedding photography has been on my bucket list for a while! Time for a little interlude in amidst the weddings. One of the massive perks of being a wedding photographer is the chance to set my own schedule in the quieter months, and as wedding season wasn’t quite in full swing we took the opportunity to continue where we left off last year. It's hard to believe that we're already over three months into 2018, and even harder to believe that the bookings are starting to roll in for 2019! I'm a bit late to the game with sharing my round up of 2017, but I've only got myself to blame as I swanned off to Bali and Indonesia to shoot a wedding and then travel for 6 weeks, making the scary decision to leave my laptop at home.